Shanahan's Certified Angus Steaks are from cattle that have been Specially Fed, Specially Selected and Specially Aged to ensure quality. Shanahan's Certified Angus Steaks are seasoned and cooked in a special broiler at 1600 - 1800 degrees Fahrenheit to sear the outside and keep the inside tender and juicy. 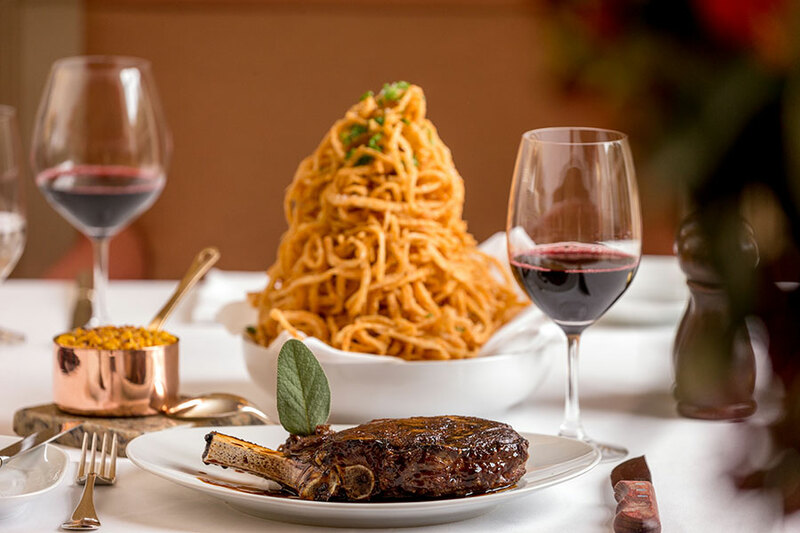 Shanahan's Steaks are accompanied with caramelised onions and steak jus. Rare: very red, cool centre. Medium Rare: red, warm centre. Medium Well: slightly pink centre.